Mr. W.H. Jones and family came to the Arcola area in 1884. He erected the first house on the town site (before the town survey was completed). That summer, the family moved one mile east of town. Mrs. Jones had to do her cooking in a tent as the house was not quite completedd. 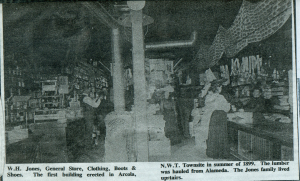 The building burned down in 1912 along with J.R. Mears’ Hardware store. The village of Arcola was established on April 11, 1901. 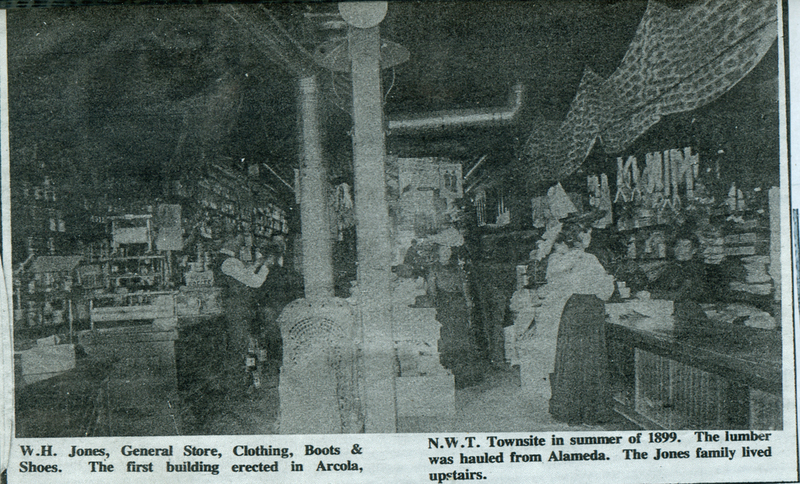 With the village site being the end of the rail line, Arcola flourished and reached town status on November 20, 1903. The Town Hall, a two-storey brick structure (present day Buddy’s Pub) was built in 1905. The Merchant’s Bank (present day dwelling) was also built in 1905. The Arcola Hotel (present day tavern) was built in 1905. In 1907-1908, the Court House (present day rental units) was built. In 1912, the Land Titles office (present day private property) was built. The Brock Union Hospital (present day Arcola Health Centre) opened in the fall of 1928. It was originally a nine-bed hospital. It was the well-preserved heritage buildings that led Souris River Films Ltd. to chose Arcola as a typical prairie setting for their production of W.O. Mitchell’s “Who Has Seen The Wind – Saskatchewan’s first full-length movie. The movie takes place in the 1930s and uses Arcola’s buildings as the backdrop. To see some relics from Arcola’s history, check out the Arcola Museum.